Escape Motions teamed up with Imagine FX - the world’s best-selling magazine for digital artists and bring you an appealing deal. For next 3 months you can obtain full Rebelle licence when you purchase any Imagine FX subscription. Make sure to visit Imagine FX Shop, choose a subscription that fits you most and get Rebelle as a gift. If you hurry up a bit, you can enjoy detailed Rebelle workshops starting from latest issue. 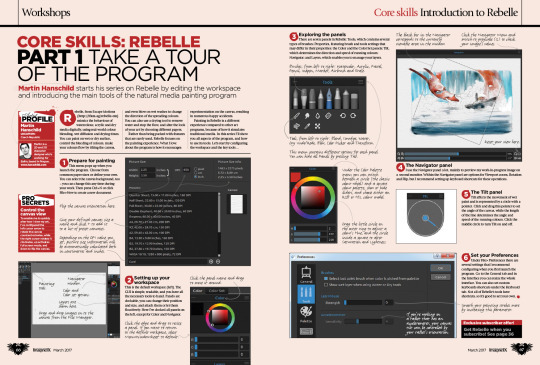 In each issue, talented artist Martin Hanschild will guide you through the various topics and art techniques that you can apply in Rebelle.